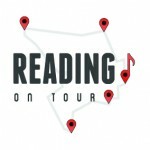 We’ve done lots of research, but uncovering all of Reading’s musical history needs the help of the whole community. So if you’ve got a story we’ve not mentioned, or know of a long-gone venue missing from our trails, please let us know so we can add it! You can get in touch on our Readipop page. We have a lot of content yet to upload, so do keep checking back for new items, interviews and stories.